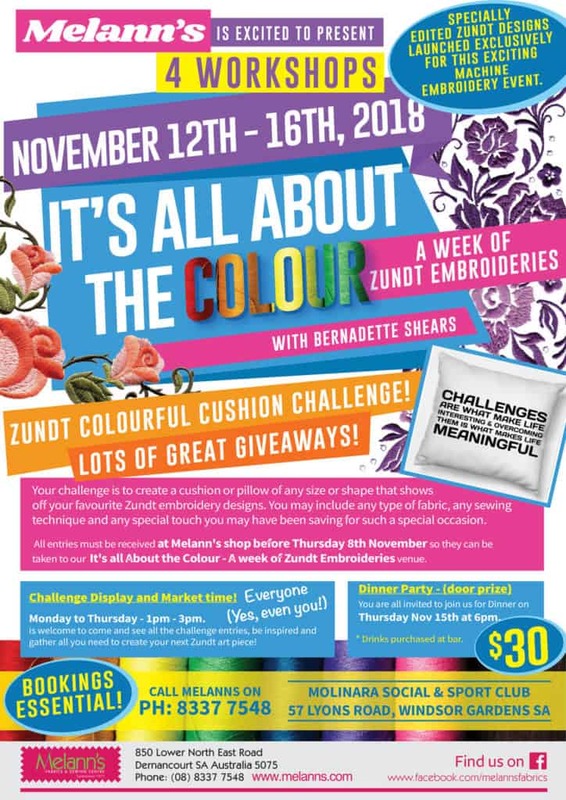 Your challenge is to create a cushion or pillow, of any size or shape, that shows off your favourite Zundt embroidery designs. You may include any type of fabric, any sewing technique and any special touch you have been saving for a special occasion. Monday to Thursday, 1pm – 3pm. Everyone (Yes, even you) is welcome to come and see all the challenge entries. Be inspired and gather all you need to create your next Zundt masterpiece!